A sump pump is an electric pump usually located in a pit in the basement or the lowest point of your home. Water that would otherwise downpour into your basement during heavy rains is redirected into the pit with the pump. When the water level gets to a certain point, the sump pump float valve activates and flushes the pump like a toilet, removing the water from your house to prevent flooding the basement. 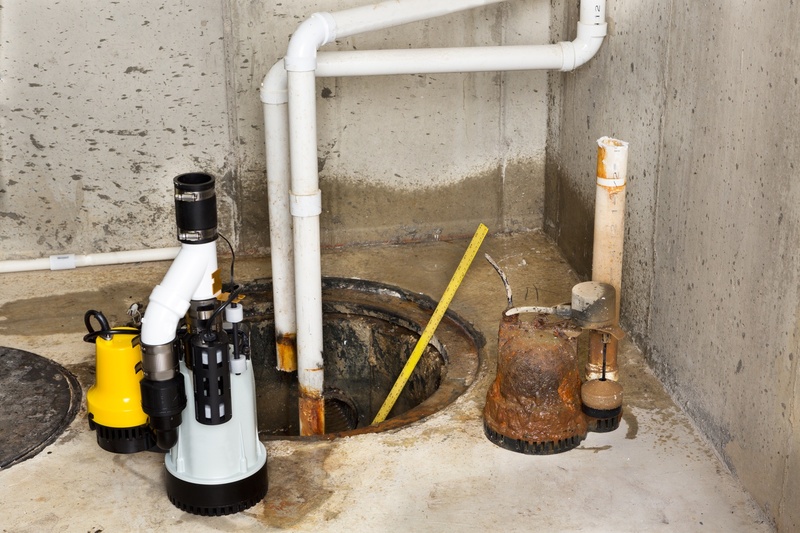 Sump pumps in this case are a profitable way to avoid major damage to your home. Sump pumps rarely fail when properly maintained; that’s why you should watch them carefully, especially in spring and summer seasons when it often rains. A sump pump can become clogged with gravel, sand, dirt and other rubbish, which would prevent its correct operation. If your sump pump has recently stopped working, contact South Orange Heating Plumbing & Air Conditioning today! Our knowledgeable technicians are able to clean, repair or replace your malfunctioning pump. They will accurately diagnose your problem, offering you an upfront estimation. All of our plumbing trucks are fully supplied with replacement parts and new sump pumps, so if you approve the work, we’ll get it done – same day service, seven days a week! For your sump pump to work properly and faultlessly, frequent sump pump testing is needed. The expert plumbers at South Orange Heating Plumbing & Air Conditioning are sump pump repair, replacement and testing pros, and we are available 24/7 to take care of your sump pump needs.